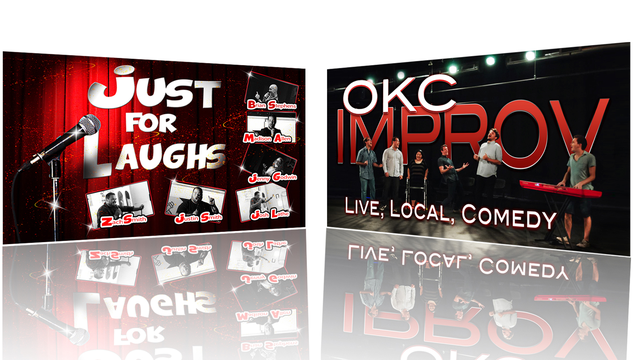 Catch the premiere of Gallery: Just for Laughs and OKC Improv this week. Sit back, relax and get ready to enjoy a great night of laugh-out-loud entertainment this Thursday when some of the best comedians in Oklahoma step up to the microphone to tickle your funny bone. And in case you ever wondered what it takes to stay in the stand-up spotlight, our comics are ready to get real about their real lives. And the laughs keep coming as we go back stage with OKC Improv. Improv, short for “Improvisational Theatre”, is a form of theater where most or all of what is performed is created on the spot. It takes talent and wit and for OKC Improv, it takes a good sense of humor. You won’t want to miss Gallery this Thursday at 7 pm.